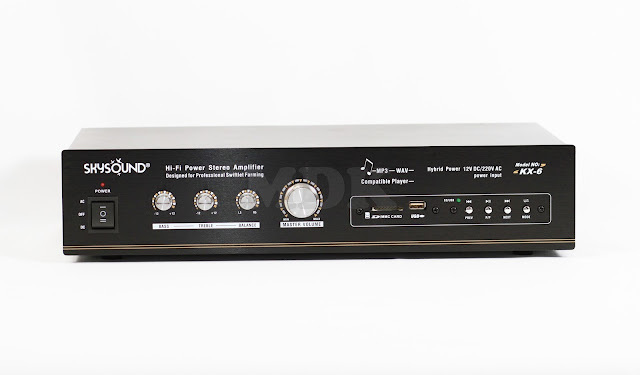 SKY SOUND KX-6 is a hybrid power input amplifier which can be powered by AC or DC current. It can play WAV and MP3 audio files. It consists relay output protection. The sound presented by this amplifier is high quality which matches swiftlet frequency. It is suitable for small and medium-sized swiftlet houses s.t. 200 pcs piezo tweeters per channel.